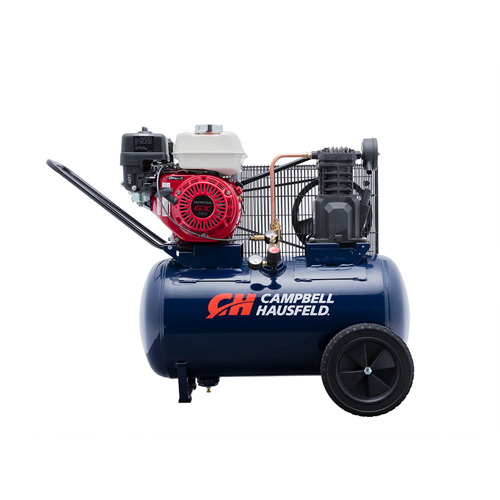 The Campbell Hausfeld 20-gallon, 5.5 hp, gas-powered, portable air compressor (VT6171) is ideal for working where electric power is unavailable. Its Honda GX160 engine provides reliable power, driving a heavy-duty, cast-iron, oil-lubricated, two-cylinder pump. 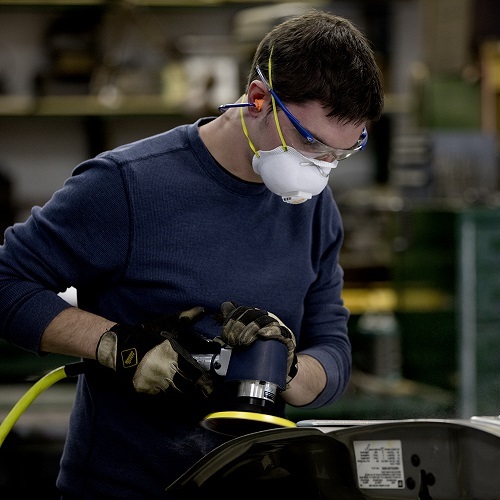 The large semi-pneumatic wheels make this unit easy to move from one job to the next. 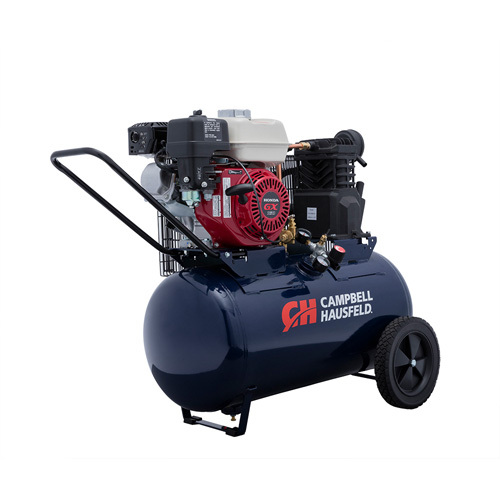 This air compressor delivers 10.2 CFM of air at 90 PSI to power a wide variety of air tools for serious DIY user, professional or contractor.